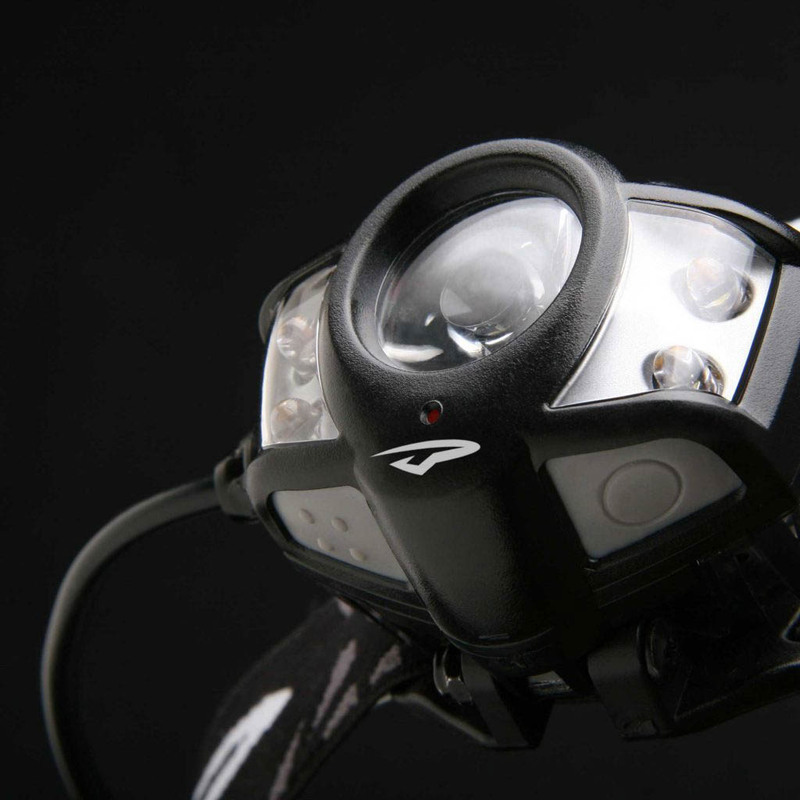 When you need the power, versatility, and ruggedness of our powerhouse waterproof Apex headlamp, but you’re looking for a lighter weight option, you need the Apex Pro. The slimmed down Apex Pro was designed with the unique and ever evolving needs of professional runners and extreme adventurers in mind. The Apex Pro is powered by 2 CR123 lithium batteries protected in a highly durable and waterproof housing. Not only lighter in weight, lithium batteries are better suited for cold weather. Built for professionals, perfect for all users. 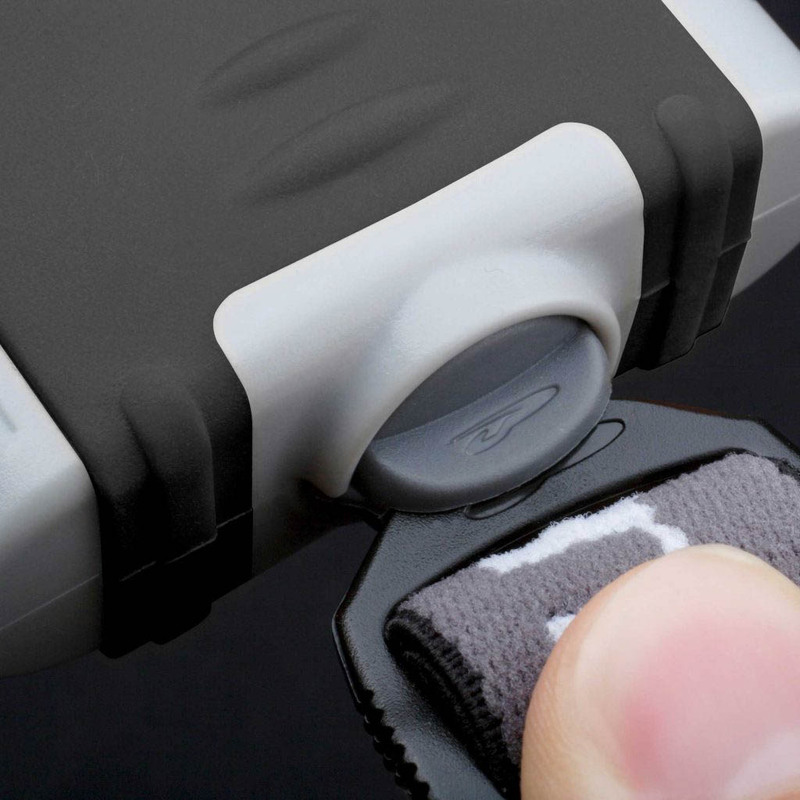 The battery power meter provides continuous feedback on the condition of the batteries, indicating high, medium or low battery life. This information allows you to make educated decisions about changing batteries or packing a spare set. 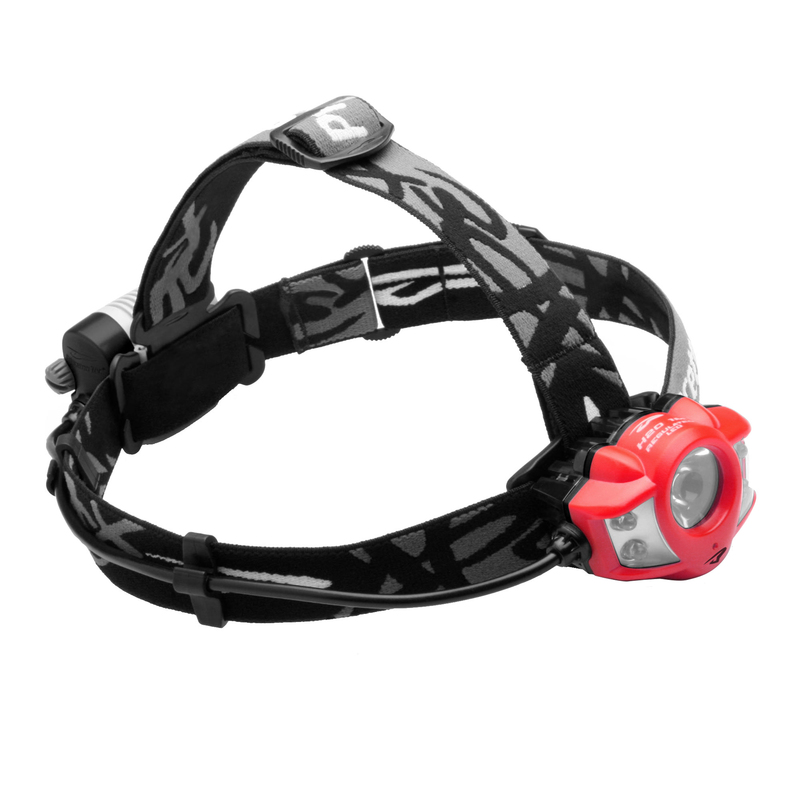 IPX7 lights provide waterproof integrity down to 1 meter for up to 30 minutes. A collimator gathers all available light from an LED in the form of scattered rays and re-emits the light as parallel rays, making it more optically efficient than a standard reflector. Princeton Tec calibrates each collimator to the type of LED and application of each light. With proprietary optimized collimator/lens systems, Princeton Tec continues to advance LED technology. This beam pattern combines focused narrow and wide beams to allow for the most versatility. 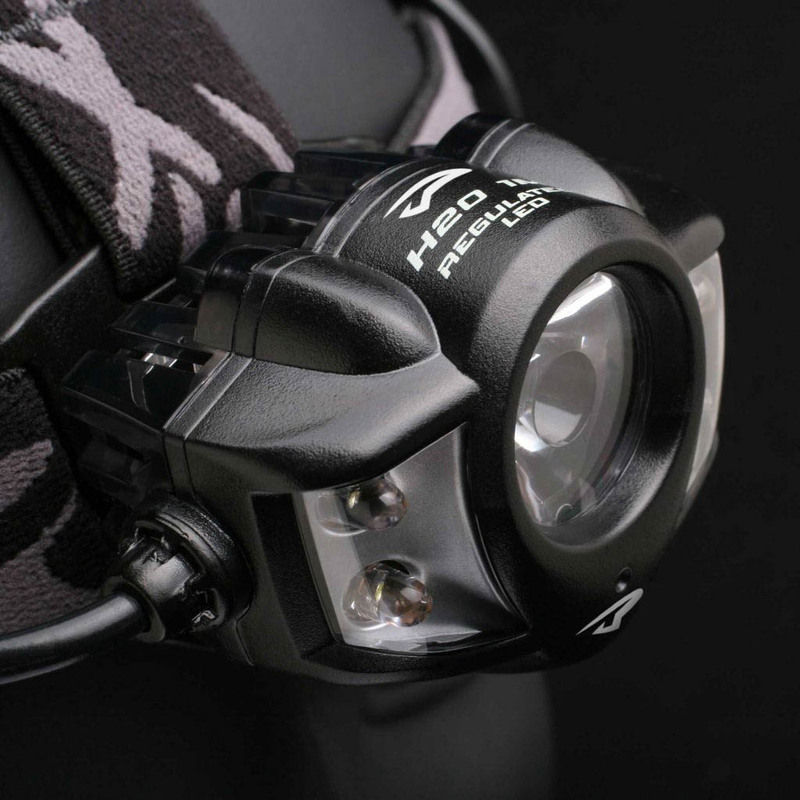 At close range, the wide beams simulate normal daylight conditions so you can take advantage of your peripheral vision, while focused narrow beams provide distance illumination. Lights that feature regulated LEDs have a sophisticated regulating circuit that maintains initial brightness as long as the batteries have sufficient voltage. They are so sophisticated that if they had eyes, they would definitely wear a monocle. Traditional lights are very bright initially, but immediately begin to dim and continue to dim until the batteries are drained. Constant Brightness is a term used to describe products that have regulated LEDs. Underwriters Laboratories Inc. (UL) is an independent, not-for-profit product-safety testing and certification organization. They have been testing products for public safety for more than a century. In order for a product to bear the certified UL Mark, it must pass all UL requirements at their testing facility. Difficult jobs in dangerous locations that don’t give you much control over your environment. Products in this category are durable and dependable, making one less thing for you to worry about – leaving you to focus on the important task at hand. There are countless ways to spend time on the water. Keep lights on hand to help you see when your plans take you into the night (or your original plans changed), in case of an emergency or to be seen on the water by other folks out there. Light is an integral part of survival – whether you’re headed off the grid or experience a loss of power – having your own source of light at hand helps to keep you safe. Does your job require work in less than ideal environments? Sometimes you need a little extra light, sometimes you need a primary light – and sometimes, that light needs to not only be bright, but be rated to work safely in hazardous conditions. Jobs that start before the sun rises, end after it sets – or are in dark spaces, large or small. You need a light that is going to work as hard as you do, in whatever conditions are thrown your way.